Fakel won without problems. Top scorers in teams: Zemchenok Denis (Dynamo LO) 12 pts and Kliuka Egor (Fakel) 14 pts. Enisey won without problems. 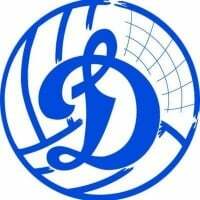 Top scorers in teams: Tyurin Igor (Dynamo LO) 12 pts and Spiridonov Alexey (Enisey) 16 pts. Ural won without problems. Top scorers in teams: Kovalev Alexandr (Dynamo-LO) 17 pts and Moroz Pavel (Ural) 20 pts.